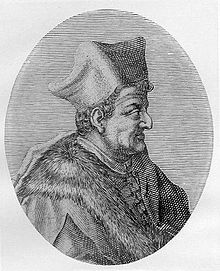 Lorenzo Valla (c.1406-1457) suffered the dubious distinction of being Martin Luther’s favourite humanist. As such, he has been depicted as the most avant-garde of quattrocento thinkers: the forerunner of Erasmus; an innovator in philology and textual criticism; a rhetorician who cleared away the moribund tangle of scholastic Aristotelian categories and replaced them with a philosophy of language based on usage. Yet Valla is also a profoundly contradictory figure. His rival, the humanist scholar Poggio Bracciolini, preferred to describe him as the grand heresiarch of Christianity. Valla disproved the historical truth of the Donation of Constantine, demolishing papal claims to Italian sovereignty and was eventually brought before the Neapolitan Inquisition, but ended his life as apostolic secretary in the papal curia. These, and other apparent contradictions in his life and writings, have led to Luther’s favourite humanist being labelled ‘a seriously flippant theologian’. Valla’s first work set the tone for his controversial career: this was a three-part dialogue, first circulated in 1431 under the name De voluptate (On Pleasure), later restyled as De vero bono and ultimately given the title De vero falsoque bono (On the True and False Good). De voluptate is modelled on Cicero’s De finibus bonorum et malorum, a dialogue in which Cicero examines and compares the classical ethical systems of the followers of Epicurus, the Stoics and the Academy. In De voluptate, Valla follows a similar scheme, comparing Stoic, Epicurean, and Christian moral philosophies. Three orators examine whether the true good for man lies in Stoic virtue, in an Epicurean love of corporeal pleasures or in the Christian vision of God. Valla gives these parts to his contemporaries: the jurist Catone Sacco speaks for the Stoics, the poet Maffeo Vegio attacks Stoicism by espousing the teachings of Epicurus, and Antonio da Rho, a Franciscan friar, pronounces a Christian verdict upon them both.